Summer is here and summer in Spain means calor (heat). We’re suffering temperatures above 40 °C in some parts of the country. Under these circumstances, what’s the best plan for such a sizzling evening? 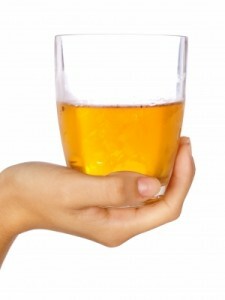 In my opinión, ir a tomar algo (to go for a drink) is a good option. Spanish squares and avenues are full of terraces where we can enjoy not only good food but also refreshing drinks. Vino, cerveza and café (wine, beer and coffee) are likely the most consumed drinks in Spain. However, there are plenty of combinations we can try. Today we’ll learn how to order them in a bar. Café solo (only coffee): Just strong coffee or espresso in a small cup. 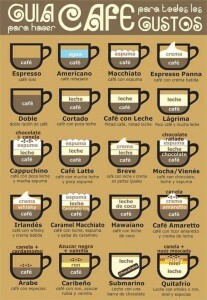 Café con leche (coffee with milk): espresso with scalded milk in a 1:1 ratio in a medium size cup. Cortado (cut coffee): a small amount of warm milk is added to the espresso, just to cortar (to cut) the coffee in a small cup. 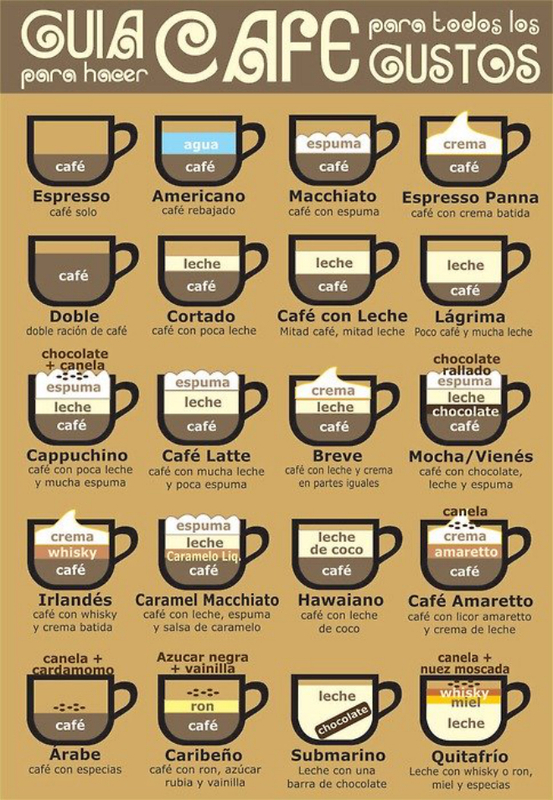 Carajillo: espresso with brandy, whisky, anisette or rum in a 2 (coffee):1 (alcohol) ratio. Tinto de verano (summer red wine): cold red wine with lemmon soda. Calimocho: Cold red wine with Coca-Cola. Typical in the North of Spain. 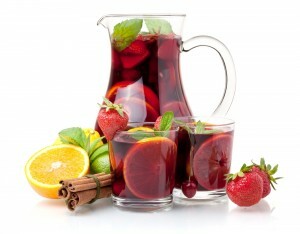 Sangría: Cold red wine, chopped fruits, sugar and brandy or other alcoholic drinks. Typical in coast areas. Rebujito: Cold Sherry and lime soda. Typical in the South of Spain. And finally, the queen of chiringuitos (beach bars) and tabernas (taverns): la cerveza (beer). You can order your beer depending on the size of the glasses. Botellín or quinto: It’s a 20cl bottle of beer. Caña: it’s a 20cl glass of keg beer. Tubo: It’s a 30cl long glass of keg beer. Tercio: It’s a 33cl bottle of beer. Jarra: It’s a 50cl mug of keg beer. Mini: It’s a 1l plastic glass of keg beer. Litrona: It’s a 1l bottle of beer. Shandy: Beer with carbonated lemonade.